The Queen's Birthday long weekend holiday is celebrated in Melbourne and Victoria as the second Monday of June. As this holiday weekend is close to the start of Winter, it is also the designated opening weekend of the Snow Season for the Victorian Alps. In Melbourne for the start of Winter there are numerous warming venues with fires lit and heaters burning just waiting to welcome you. The Queen's Birthday long weekend is a great time to head out with friends and enjoy the start of winter! 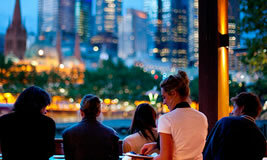 Here are some great restaurants, venues and events and promotions in Melbourne for this Queen's Birthday period. 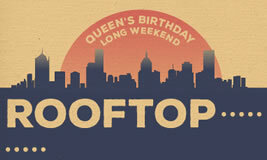 The next Queen's Birthday holiday in Melbourne is at the June long weekend. It's the start of Wnter in June so prepare to rug up a little more. 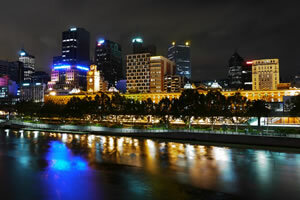 Just click on the Melbourne events or venues for more details of ideas planned. 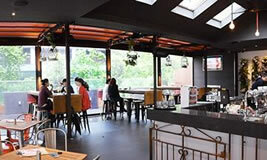 A favourite venue for hipsters and all in downtown Chapel St South Yarra. Great Winter food for the Queen's Birthday start of winter party time in June! Be tempted at Temperance with it's love to party play attitude! Enjoy a long weekend getaway at the Amora Hotel Riverwalk. Ideally located on the banks of the Yarra River you'll be treated to panoramic river views from a range luxurious suites and 2 bedroom apartments. Getaway in style at the Amora Hotel Riverwalk. This warming Italian inspired Melbourne icon is centrally located in Hardware Lane. The multiple storied venue gives options for various Queen's Birthday events or functions at this Melbourne Winter time of year. Spend the long weekend on the Rooftop and enjoy live acoustic music until late on the Sunday. 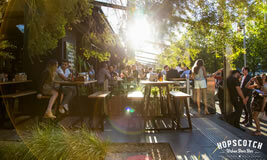 Hop into Hopscotch down in Melbourne's Southbank Precinct this Queens Birthday Weekend for awesome drinks and street food. With over 30 beers on tap you're sure to find something to suit your tastebuds. Enjoy LIVE football from the AFL all Queen's Birthday Long Weekend. You can also catch the French Open and NBA Finals. 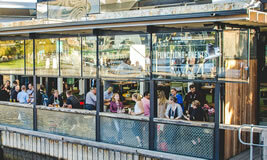 Say cheers to the public holiday at the Wharf, open till late everyday of the Queen's Birthday break. Warm up this Winter Opening with our drink specials. 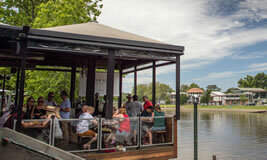 The Queens Birthday weekend will be fun in Mebourne and even more fun riverside at Riverland. Come and get some warming food and good times with our let it snow function package to open Winter. Get your crew on the gangway for a Winter Night City Lights function this June and celebrate the end of financial year. Great food and awesome drinks to get everyone warmed up. 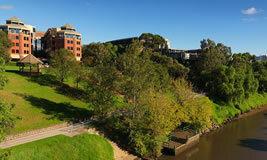 Awesome location on the Yarra River! Get into see Chloe this Queen's Birthday Weekend and why not try our Guest beers with about 12 on tap. Makes me thirsty thinking about it! 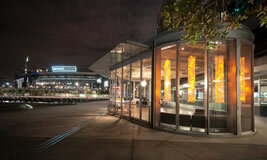 Are you looking for a Winter Function Venue near Docklands. Whether it's a June or July birthday or end of financial year corporate lunch or dinner, we can help! We've got Happy Hours sorted at Euro. Not just on weekends but all the time! Checkout our Winter Happy Hours! 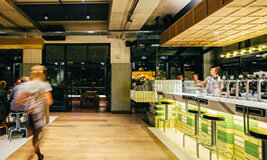 June in Melbourne can be wet but we'll keep you warm for the Long Weekend at Platform 28. And if your work is planning an EOFY function then give our spaces are try. 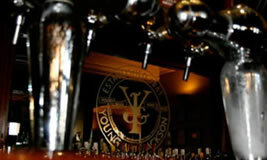 Great drinks, awesome food and fun staff are our specialty! 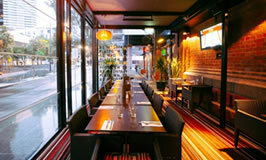 Ludlow on the Yarra River has super view to Melbourne in Winter and we'll warm you up inside and out with our gas heaters. For the Queen's Birthday long weekend Ludlow is alive for friends to drop in with great winter food! Yum! Bearbrass is the old name for Melbourne. And it was called that settlement in May 1836. So celebrate all that is Melbourne in June this Queen's Birthday long weekend at Bearbrass with great food and awesome location. 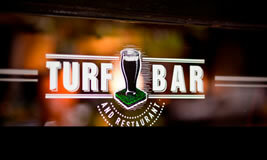 Melbourne loves sport and the Turf is one of Melbournes premier sports bars. 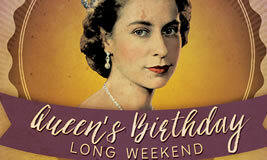 And this Queen's Birthday Long weekend come and join us for the June Winter sporting events. Whether it's AFL or American Sports we'll have it on. Think German Bavarian bier hall and that's the atmosphere and culture we want to share. 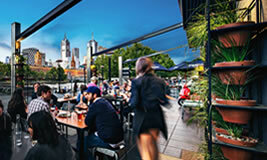 Come together this Queen's Birthday long weekend in Melbourne on the second level of Southbank overlooking the awesome Yarra River and enjoy good food and drink German style! 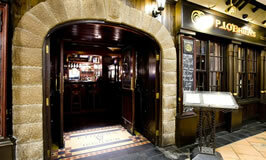 An authentic Irish favourite venue of Melbournians. P.J. O'Brien's is open every day of the June Long Weekend. Enjoy Drinks specials including Espresso Martini's on the Saturday and, a Traditional Sunday with Sunday Roast, LIVE Irish Music plus Drinks Specials. Once the Queen's Birthday long weekend in June is over it's time to take in the end of financial year parties and look ahead to a Xmas in July celebration. Who doesn't like a roast and some plum pudding in July. Make sure you check out all the Christmas in July ideas for Melbourne and Winter functions.